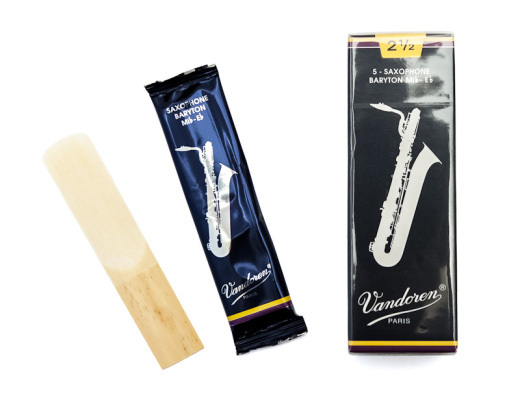 The Vandoren Traditional Baritone Saxophone reeds feature the thinnest tip with the thickest heart, resulting in crisp articulation with a full, dark sound. The Traditional box are the standard by which we judge all else and are amongst the most popular reeds worldwide, preferred by classical players and students (although suitable for any style). Filed Cut. Very thin tip with a thick heart. Suits mouthpieces with a French style facing curve. Each reed is individually wrapped to protect it from temperature and humidity changes. When you get a good one it can be great, but if you get more than one out of a box of five thats useable, you're doing well.